Happy Thanksgiving from President Obama and the Obama Foundation! 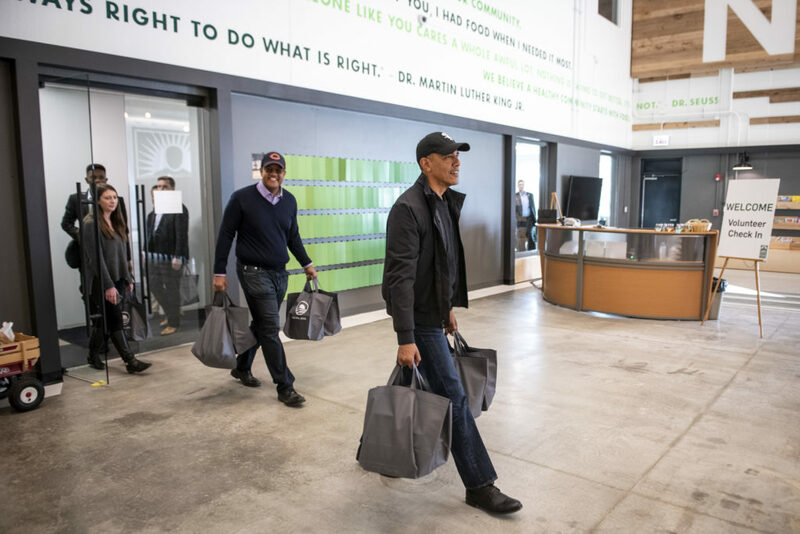 From all of us at the Obama Foundation, we wish you all the best as you gather with family and friends to share all that you’re grateful for. 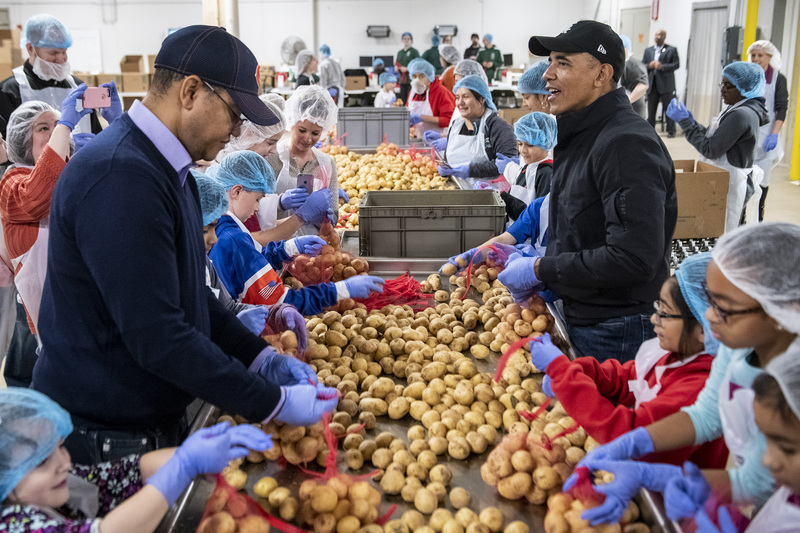 After joining hundreds of young civic leaders at our second Summit in Chicago, President Obama spent some time giving back to the community that gave him so much. 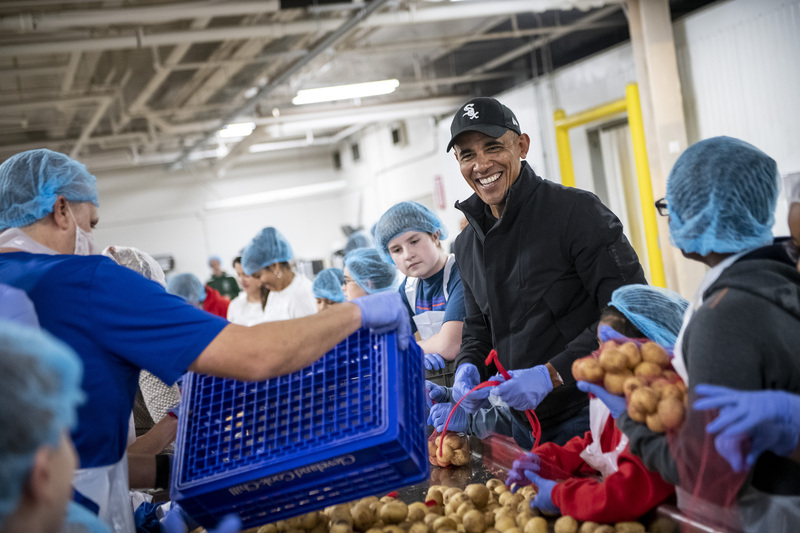 He stopped by the Greater Chicago Food Depository with Foundation Chief Engagement Officer Mike Strautmanis and dozens of volunteers to pack food for families in need across the Chicago area. 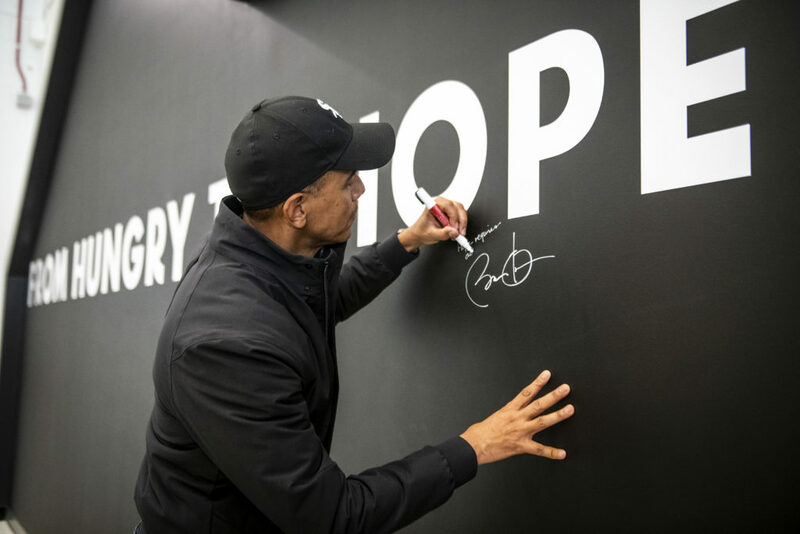 See highlights from his visit below, then tell us how you find common ground over a shared meal.